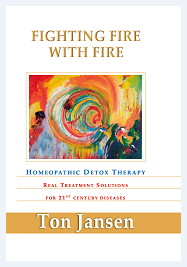 Welcome to the masterclass with Ton Jansen, who developed the homeopathic human chemistry method to achieve whole treatment of the patients, following the principles of the Organon and adapt it to the diseases of our civilization. Ton has developed new homeopathic remedies, necessary for the treatment of these diseases which came from all the toxic environment and allopathic medicines. “This seminar is a Special Masterclass which means a lot of practical information, real practice and advices. Ton will have live consultations with the patients from the last Masterclasses or new ones with Cancer disease or Autism spectrum disorder. 3 or 4 patients a day. You will study details about the Materia medica of sarcodes and nosodes like Syphilinum, Acetylcholin, Poly sugar, Bowel nosodes, Histamine, Oxytocin, Tryptophan, Serotonin, Poly antibiotics, Gc-Maf, Savastrol, Bone marrow, Immunoglobulines, etc…and how to manage with them in cases. Also Materia Medica of some not well known but very effective remedies from the family of Solanaceae. Your questions are very important! The place is Eco hotel Zdravets, near Plovdiv. There will have transport from the Sofia airport to the hotel. After the seminat will have transport from the hotel to the airport. The price for the seminar is 200 euro. The price per night in the hotel is 30 euro including breakfast, lunch and dinner. The food is local, organic and traditional Bulgarian kitchen. Also the SPA is free, so it is properly possible for the whole family to make a wonderful holiday. For information for prices, themes and registration, please contact Irina Nikolova, irina_vn@abv.bg. The seminar will be in English and Bulgarian translation. Everybody will receive a certificate from the Homeopathic school of Ton Jansen in the Netherlands.